Home > Blog > Can you replace the screen on a laptop? So you’ve busted your laptop screen or it’s simply stopped working properly? And you’re wondering, ‘Can I replace the screen on a laptop?’ Indeed you can. We can do it for you quickly and affordably, here at The Electronic Fix. 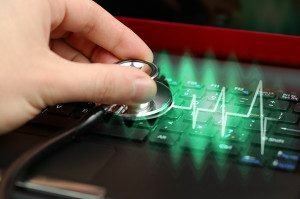 A lot of things can happen to the screen on a laptop that means it cannot be repaired. Instead, the whole screen often needs to be replaced. But there is usually no need to go to the expense of buying a whole new laptop. What is wrong with your laptop screen? Laptop screens can die in all manner of ways. People drop them on the ground, accidentally hit them with heavy objects, and even run over them with their car! Or a laptop screen can slowly fade into oblivion, until one day you can no longer use it. Do any of these issues describe what is wrong with your laptop screen? Then we can fix it. If not, give us a call on (07) 3613 0029 or visit our contact us page for other options. What brands of laptop screens can we replace? Is your brand of laptop in this list? If so, great! If not, give us a call on (07) 3613 0029. We’ll be able to tell you if we can fix it and if we have replacement laptop screens in stock for your model. If you prefer email, visit our contact us page. How quickly can we replace the screen on a laptop? Speed is one of our greatest attributes—along with detail and professionalism. We can replace your laptop screen in as little as half an hour. Some may take a little longer, but as we stock most of the common brands and models of replacement laptop screens, we can change it over right away. Some businesses might make you wait days to order in your new screen. But not at The Electronic Fix. We aim to make the process and quick and painless as possible. How much does it cost to repair or replace a laptop screen? We pride ourselves on very affordable rates. The cost to repair or replace the screen on a laptop will vary depending on what brand and model of laptop you have. 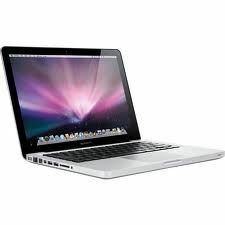 To see a list of our prices, visit our Laptop Screen Repairs page. Contact us now to arrange a time to have your faulty or broken laptop screen replaced.